Mining Mafia was defeated. High Court decide to lift the stay order obtained by illegal miners. 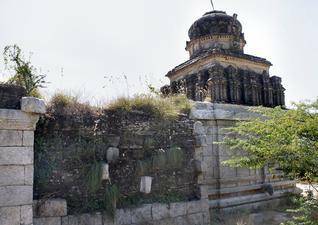 The Court gave permission to build Vakula Mata Temple. Thousands of people, who have taken up the task of challenging the illegal miners allegedly supported by the corrupt politicians and immoral mafia, faced innumerable obstacles and threats to their lives. They never gave up. They kept fighting until those difficulties disappeared with the High Court’s decision to lift the stay order and to build Vakulamata Temple. As you know that GHHF has taken the position of building the Vakula Mata Temple. Ghazala Srinivasa and GHHF worked with Sri Paripoornananda Swamiji to make sure that Vakula Mata Temple is built. The case was filed by Sri R V V Krishna Rao Garu, Sri Pardhasarathy, Sri Bhanuprakash Reddy and others. Attorney Sri K. Srinivasa Murthy Garu defended the case in the High Court. We also worked with Sri Bhanu Prakash Reddy, the Trustee of TTD. I n fact, GHHF has submitted a letter to Sri Bapi Raju Garu, former Chairman of TTD, requesting TTD to allow GHHF to build the Vakula Mata Temple in November 2013. Since that we have been approaching different officials requesting them to allow us to build the Temple. We even met Sri Chadalavada Krishna Murthy Garu also on this issue. 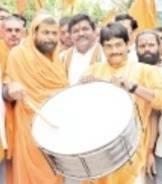 He indicated that they are ready to build Vakulamata Temple once the legal issues are resolve. 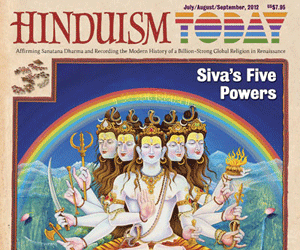 Sri Swamiji also recognized the efforts of Global Hindu Heritage Foundation in his news conference. This is the news coverage- read Indian Express coverage also. 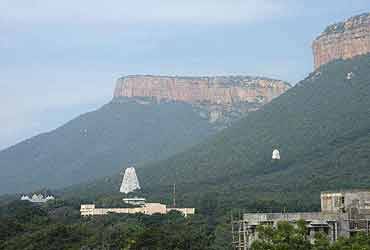 EHYDERABAD: The Hyderabad High Court on Wednesday upheld the decision of Tirumala Tirupati Devasthanam (TTD) to renovate the Vakulamata temple at Peruru in Pathakalva village on Chittoor-Tirupati bypass road. Justice Challa Kodanda Ram was passing a common order in two writ petitions. 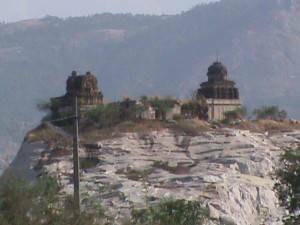 The judge dismissed the writ petition filed by Varala Reddy and another who challenged the resolution saying that they are getting livelihood by cutting the rock on which the temple is situated. They wanted the temple to be shifted out so that they can cut the rock and sell it. 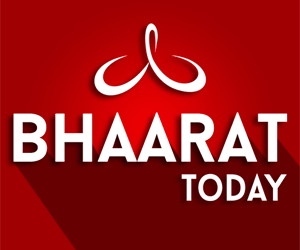 The judge was allowing a writ petition filed by RVV Krishna Rao, former Doordarshan director (News), Hyderabad and presently associated with Sree Peetham. The petitioner complained that the officers are not protecting the temple and are not stopping the alleged illegal quarrying and wanted the TTD to renovate the temple as resolved. In 2005, the TTD resolved to shift the Vakulamata temple from Peruru and build it at Alipiri or any temple complex of the TTD. Later, the whole issue was revisited and it was resolved in 2009 that the temple which was in dilapidated condition at Peruru will be renovated therein. The district administration wanted to handover the land around this temple to the TTD for the purpose. Some local villagers approached the high court contending that the temple is on a huge rock and they are getting livelihood by cutting this rock and TTD has no power to take the land herein. They said that the temple may be shifted out. Besides, there was scope for law and order problem. In 2010, a single judge of the court granted stay on the TTD resolution to renovate temple. In 2012, Krishna Rao moved the high court complaining that illegal quarrying taking place in the area and the stone cutting works are taking place without any lease from the mining department. Both the temple and the rock on which it is situated are being blasted off, he pointed out. In September 2012, a single judge directed the authorities to protect the temple and stop all the quarrying blasting works around the temple. The court decided to hear both the writ petitions together. During the hearing on Wednesday, Justice Kodanda Ram was shown the latest pictures how the rock was excavated by the illegal quarrying. In fact, there was no lease to do quarrying works at the said place, the petitioner’s counsel pointed out. The judge also heard the counsels’ arguments appearing for implead petitioners Pardhasarathy, former MLA from Kadiri, and Bhanuprakash Reddy, member of the TTD. After hearing the case, Justice Kodanda Ram made it clear that the TTD has got the power to fund for renovation of the temples in ruins. The judge directed the TTD to complete the works.